Not taking any chances and always following the straight road ahead is a safe but tedious way of going through life. Human nature compels us to excel and strive for more, even when this means to take some chances. While there are some who think that the paths less traveled are less traveled for a reason, many more are ready to embrace the risks. The art of calculating those risks and taking chances only when the benefits outshine the shortcomings is something worth mastering. In business as well as in gambling, people are frequently pit against difficult decisions and they need to act quickly and decisively. While there are plenty of differences between them, both activities depend on risk-taking and the people’s ability to make the right decision. There is an indissoluble link between the return on investment and the risks taken, and it is not always obvious which is the best course of action. One of the true tests of leadership is the ability to recognize a problem before it becomes an emergency and address it promptly. Successful entrepreneurs will sometimes confess the fact that had they knew about all the obstacles blocking their way, from start to finish, they might not have tried to all. Overcoming one problem at a time and celebrating the accomplishments is what keeps a person going and it is the small triumphs that provide the much-needed impetus to persevere. When it comes to gambling, the decisions that people make are not that important in the great scheme of things, but crucial on short-term. With proper bankroll management and a coherent strategy, one can weather the storm caused by occasional downswings and bad beats. The difference between running a business and gambling is that the latter is a more volatile activity. Risks exist in both cases, but in the latter they are more difficult to predict because quite often they depend exclusively on luck. Investing and gambling both involve risk and  choice so people can tone down their aggressiveness and settle for a lower return on investment. Understanding the risks and making an accurate assessment on how an unfortunate event can affect their activity is crucial for staying profitable. To mitigate the chances, both investors and casino players venture a small share of their bankroll and constantly try to minimize the risks while maximizing the profits. In land-based casinos, players feel frequently overwhelmed by all the array of games and the seemingly irresistible gaming options. For many of those who choose to gamble in such places, entering a brick-and-mortar casino compels them to play more than they normally would. 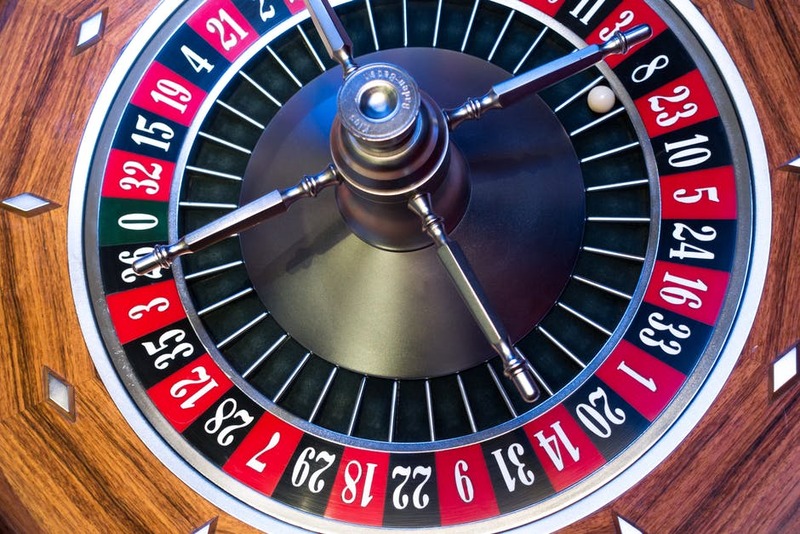 By comparison, online gambling is safer, therefore preferred by risk-averse players. It gives them all the time in the world to plan several moves in advance and exercise perfect bankroll management. Online casinos, like Larry, Gamblio, Dazzle, have more games than the average land-based casinos and provide players with the means to effectively reduce the house edge. Players can use instruments previously reserved to investors, hedge against the risks and set stop loss limits. These can be done both manually and automatically by using the features implemented by the casino. While everyone hopes to win as much as possible, the top priority should be to avoid catastrophic losses. The bottom line is that the risks taken by businessmen and those assumed by professional gamblers are slightly different. At their core, they are both centered on the same notions and that’s why it is possible to make a successful transition from one niche to the other. In neither of these two lines of work people should take anything for granted and while hoping for the best, make sure they have a safety net in place.